Boom! 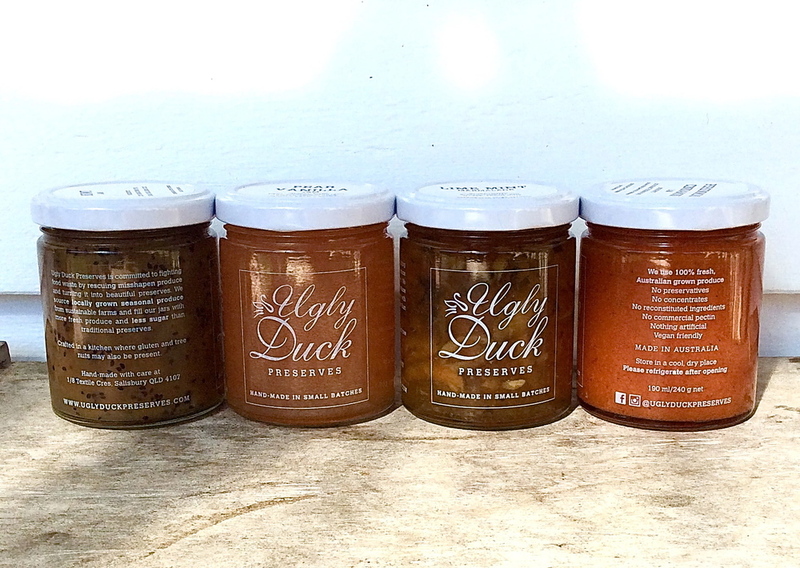 – we have been working hard to make Ugly Duck Preserves even better! We are now ready to launch our new jars with new labels and new flavours. As you all know Ugly Duck Preserves is a young start-up business and we have learnt a lot in the last 6 month. In order to turn this little start-up into a sustainable, business we had to tweak things a little bit. Our preserves are truly hand-made from truly local, chemical free ingredients. We don’t shortcut and we don’t use cheap imported produce. All this comes with a price tag though. After looking at boring numbers like production cost and time we realized, that the only way for us to keep operating was to reduce our jar size a little bit. Everything else stays the same. Top, local produce, no preservatives, no additives, no concentrates, no added pectin, nothing artificial. Hand-made in small batches. Smaller jars of course also mean, you get to open new, exiting flavours sooner, yay! And there will be more, new flavours coming your way soon. Keep checking our facebook and instagram account for updates!